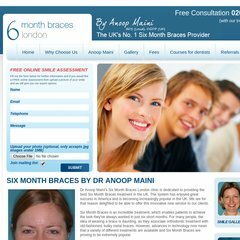 Topics: Why Choose Us, Anoop Maini, Gallery, Fees, and The Fresh Dental Marketing. It is hosted by Ecommerce Corporation (Ohio, Columbus,) using Apache web server. Its 2 nameservers are ns14.ixwebhosting.com, and ns13.ixwebhosting.com. The programming language environment is PHP/5.2.17. PING www. (173.83.223.199) 56(84) bytes of data.